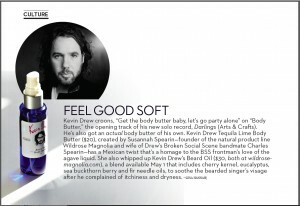 Category: Kevin Drew's Skincare. Tags: argan oil, avocado oil, beard oil, broken social scene, cedarwood, cherry kernel oil, cruelty free, facial hair, gluten free, haircare, jojoba, lime, mens fashion, mens health, moisturize, music, pine, sea buckthorn, toronto, vegan. 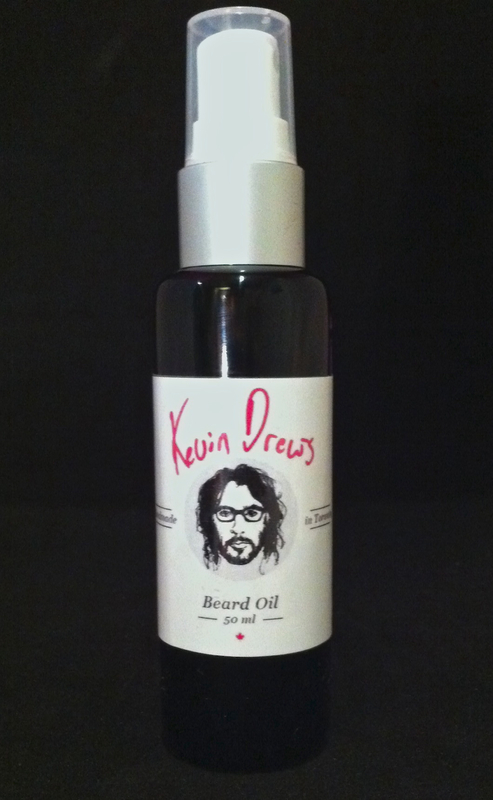 Kevin Drew’s Beard Oil is an all natural tonic for your beard to turn it from brillo-pad to brilliantly soft. Rugged and woodsy; Canada meets Mexico- with Cedarwood, Fir Balsam, Blue Mallee Eucalyptus and Mexican Lime. A gorgeous beard starts with healthy-skin; ditch the itchy irritation and say hello to a renewed, soft, supple, great smelling beard. All oils used in this blend absorb easily and fully and were chosen for their hair health benefits. Directions: Apply a dime-sized amount of oil to damp/dry beard. Rake fingers through beard beginning from the roots, and massaging through to the ends. Apply often and have a good time. Cherry Kernel Oil Amazing repairing oil for dry hair, restores a soft lustre to your hair. A remarkable nourishing and PH balancing oil that leaves skin soft and glowing. High in alpha, delta and gamma tocopherols plus Vit A. It also contains a polyunsaturated fatty acid called eleostearic, a conjugated linolenic acid that prevents UV absorption by forming a barrier on the surface of the skin. Sea Buckthorn Berry Oil Improves hair health and growth on a follicular level. Containing more than 190 biologically active compounds (in one drop!) that can improve metabolism of the skin and slow down maturation. Known in folklore medicine as ‘life Oil’ or ‘ God Sent Medicine’ withinfolk medicine. Pegasus was said to eat the berries to gain power to fly! Of course modern science has also backed up this super fruits unique qualities. Within the FRUIT oil can be found the elusive essential fatty acid, omega 7, which is vital to collagen production. Research has show Sea Buckthorn to be effective in promoting cell tissue regeneration and in the treatment of various skin conditions. Reputed to be one of the best sources of natural antioxidants due to its high content of vitamin C, A, B1 ,B2 and E, beta-carotene, mixed tocopherols and phytosterols, flavonoids and various other essential fatty acids. 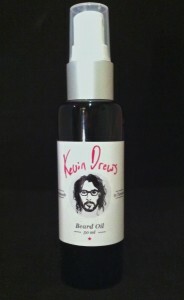 Argan Oil (known as the tree of life) Hydrates and softens roughness of facial hair. Improves hair health by penetrating hair shaft and follicles with nutrients that enhance elasticity. Omega 3 and 9 fatty acids assist in healing split ends. The discovery and subsequent demand for this nourishing oil has saved the argan trees from deforestation in Morocco and provided work for communities. It’s win win! Within this oil are active substances called triterpenoids that offer amazing skin protection benefits including being anti inflammatory and anti carcinogenic. Rich in free radicals that regress signs of skin degeneration, and abundant saponins that are moisturizing for both dry and acne prone skin. This oil also ads a layer of protection against environmental toxins and also the rays of the sun. Petitgrain This essential oil supports a healthy nervous system and has been traditionally used to soothe nervous exhaustion and stress. It also controls excessive perspiration and aids in various hair/ scalp conditions, such as dandruff.